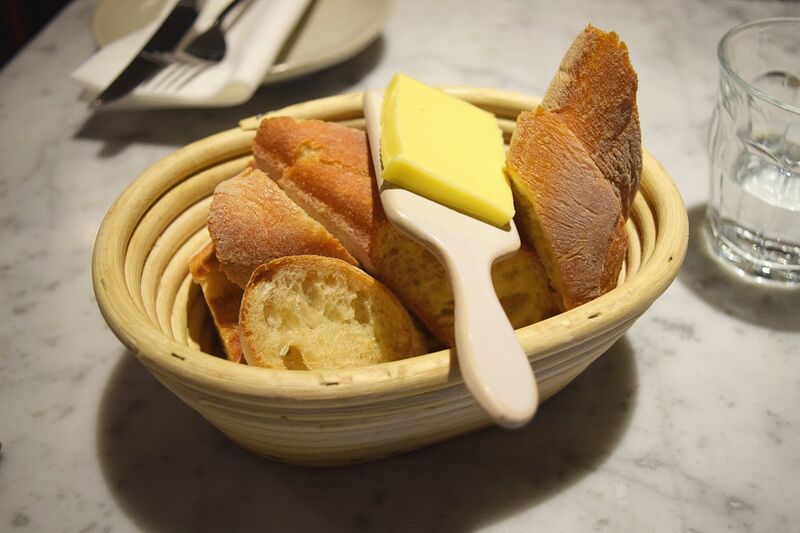 Brasserie Blanc is just a few minutes from Waterloo station, opposite the Royal Festival Hall and just up from the Southbank. Raymond Blanc’s French restaurant has just undergone a brand new look and from the outside this is visible with the outdoor terrace and then in the inside with lounge cocktail bar and extended private dining area. 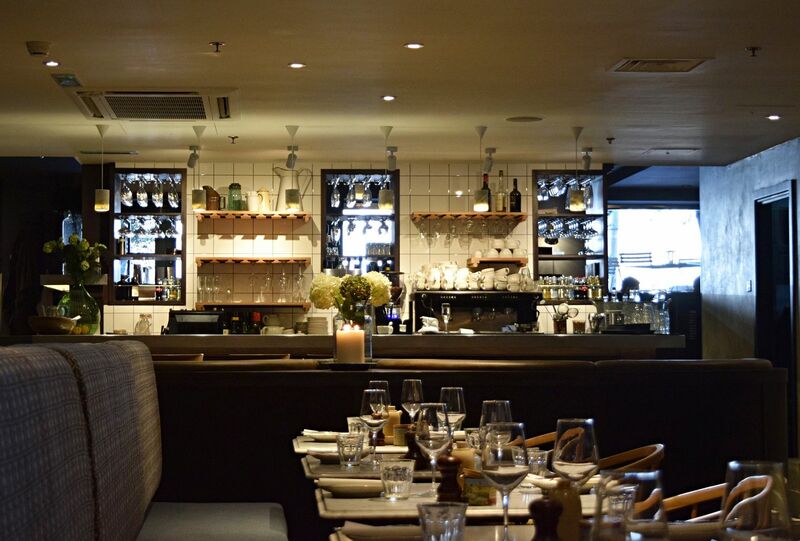 The restaurant is much larger than you might expect inside and the main dining area has been inspired by Raymond’s own kitchen, with handmade ceramics and natural linens have replaced former white tablecloths for a more relaxed feel. It has a mixture of tables and chairs and comfy sofa styles, in which we were seated. We were warmly waited on by our waitress Sabina and she talked through the à la carte menu and Sunday’s special lunch menu. Looking through the large menu Paula and I decide to go for a small starter accompanied by our usual white and red wine choices. 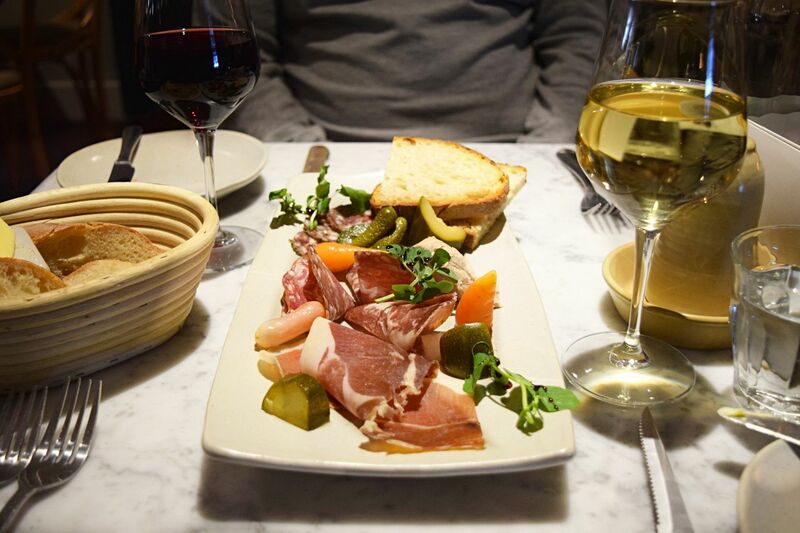 We ordered the charcuterie board to share; a classic mix of toasted sourdough toast, Bayonne ham, Rosette de Lyon, salami, pork rillettes, coppa, savoyard sausage and a mixture of pickles. The cured meats as you would expect were a good mix of peppery, salty and bordering on sweet meat. The pickles were a really good mix of onions, gherkins and carrots which complimented the flavoured dried packed meat. 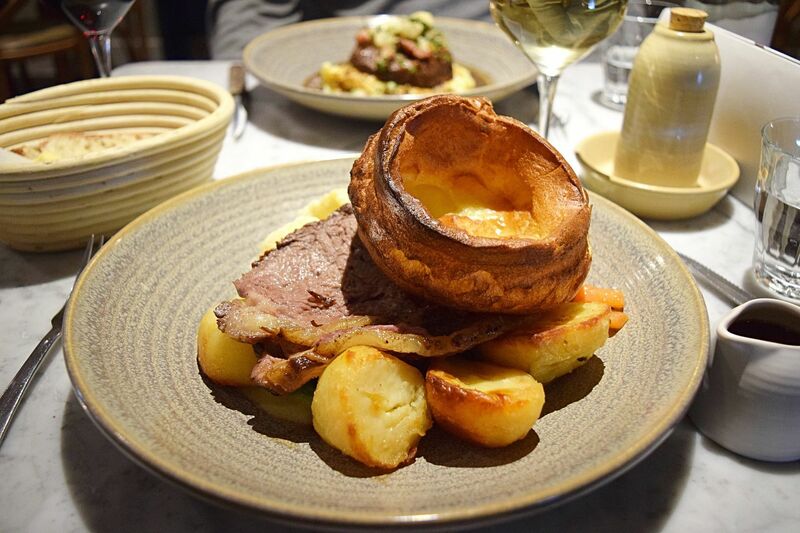 As it was Sunday lunch time we decided to pick one main from the Sunday lunch menu and one from the main à la carte menu. I went for the Beef Bourguignon and Paula chose the Roast Beef Sunday Lunch. The roast was huge and was bursting with all of the trimmings, with three large slices of beef, a large crispy but fluffy yorkshire, there were a number of roast potatoes and also seasonal vegetables, which were a generous portion of cauliflower cheese, carrots and a good portion of buttered cabbage. All accompanied with a jug of gravy, which was regularly topped up. Paula loves gravy and without even asking a second jug was whisked over to our table. The roast beef was full of flavour and cooked just bordering on medium, the beef was tender and slightly salty, with the fat just rendered enough to eat. The roast potatoes were cooked crispy on the outside and fluffy on in the inside and the sides were huge, you really wouldn’t need a starter if you order the roast. For £14.95 it was great value and you really get a lot with it. 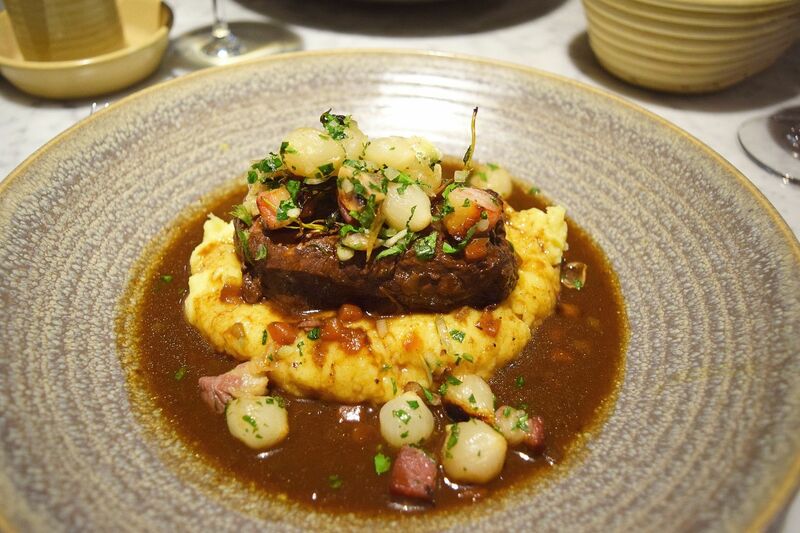 My Beef Bourguignon was served in a thick meaty red wine gravy with bacon lardons, baby onions and small mushrooms all on a bed of creamy mash. The first thing you taste is the beef, it was very tender, full of flavour, the beef is served as one larger cut of meat like a slow cooked steak. The next and powerful tasting thing you will taste is the smoked lardons. The lardons were probably one of the smokiest flavours I have ever eaten, personally I really enjoy the smoked taste (if you aren’t a fan of smoked bacon I would strongly recommend you do not eat them). The mash was very creamy and was the perfect side for the beef and vegetables. 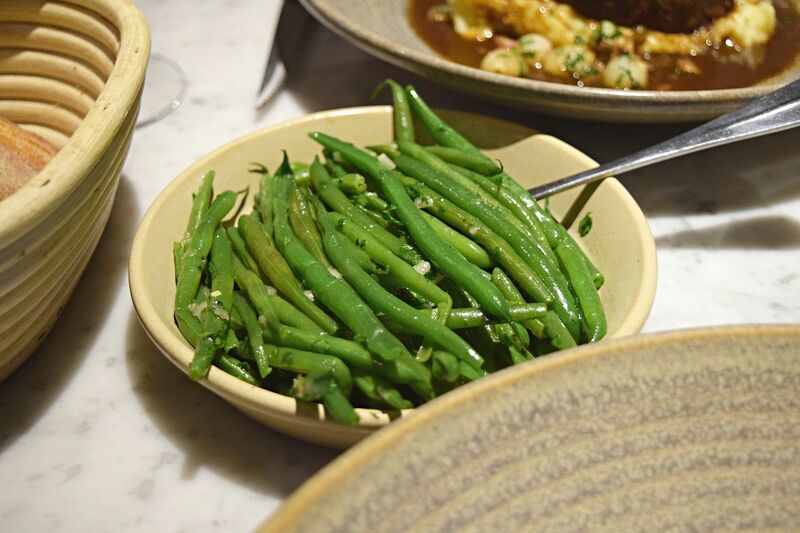 I was recommended a side of the green beans which also went really well with the dish. In between our courses we decided we should give the newly refurbished bar a try and have a cocktail each. I went for an Eden mist – beefeater gin, elderflower cordial, cucumber, fresh and cloudy apple juice topped with fever tree soda water. The long cocktail was really refreshing, having had Edin Mist style cocktails before they can be really sweet but thankfully this was really refreshing and a perfect palate refresher after a meaty dish like Bourguignon. Paula chose a Tommy’s margarita from the cocktail menu. Served in a classic martini glass, the rim was lightly salted, the cocktail was really well put together with Olmecs tequila, lime and agave syrup. It wasn’t too strong and had a slightly smoked citrus taste, another way to refresh your palate and prepare for our third course. For dessert, Sabina our waitress recommend the lemon tart which I ordered and Paula was tempted by the summer berry savarin. 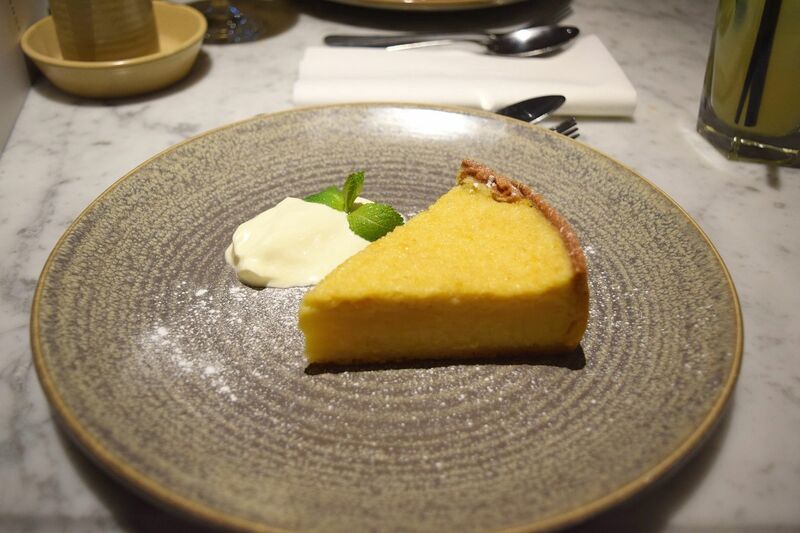 The lemon tart was a deep filled baked tart and it was really sharp as you would hope and served with creme fraiche to compliment and cool down the citrus taste, again the portion was a good size and despite wanting to I struggled to finish. 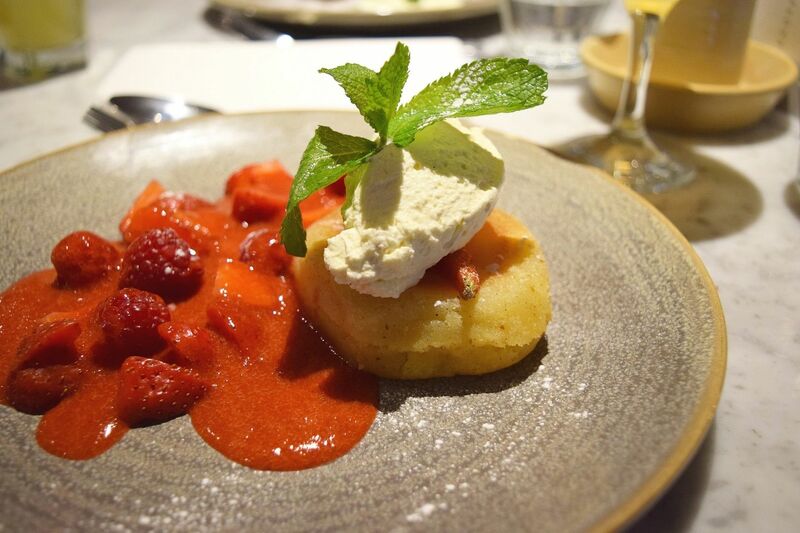 Paula’s savarin was also a good size, there were a number of fresh strawberries and raspberries mixed in with a sweet red berry coulis, the cake was light, delicately flavour of vanilla and had a nice kirsch flavouring. There was a good serving of creme chantilly on top of the cake and added a thick luxurious creamy finish to the dessert. If you like a sweet yet creamy dessert this is probably the dessert for you. I have to make a special shout out about the service, it was great, Sabina was very attentive, personable and unlike many places in London actually helpful and always available. Paula and I struggled to finish the mains just as they were so large so definitely go hungry for a Sunday roast visit. The food was very good and both the wine and cocktails were nice, worth a visit for a drink if you do not know where to go around the Waterloo / South Bank area. 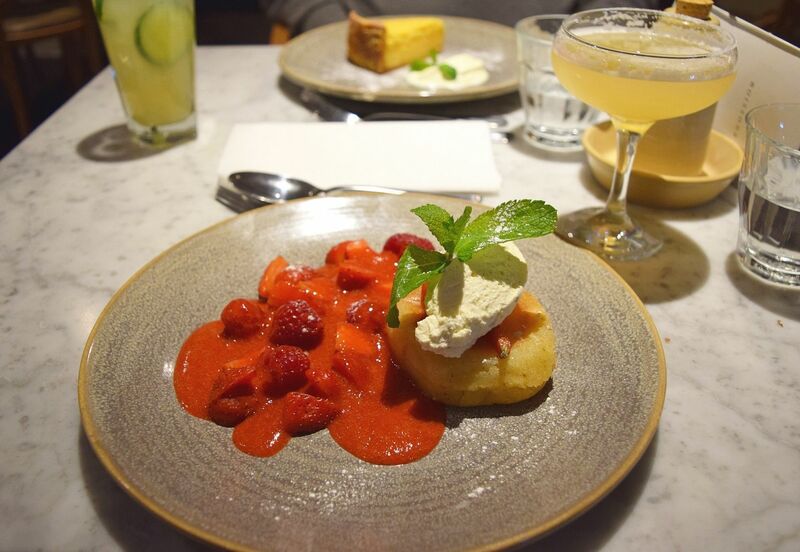 We both have said since how much we enjoyed the Brasserie Blanc in Waterloo and we would definitely go back if we are walking along the Southbank or in the area. For more visit the website at brasserieblanc.com. Ooh that roast dinner looks yummy – I love it when they top up the gravy – can’t get enough of it. Yum.